Former Congressman Ron Paul of Texas is a genuine American hero. He stood for a new way of thinking about America’s place in the world and recognized that the war party and its policies were both destructive to the US Constitution and imperiling liberties at home. He is a national treasure. But I sometimes have to wonder why he has surrounded himself with so many grifters? I keep getting emails from the Campaign for Liberty (C4L), which represents itself as an heir to the Paul legacy, even though it is nothing of the sort. It is a money generating machine preying on the millions of Americans who have fond memories of Dr. Paul, constantly promising to do something important tomorrow but never quite delivering. It ultimately benefits no one outside the small group of scalawags that did so little so poorly in the 2012 election campaign, failing disastrously to get Ron Paul either nominated or at least having a seat at the GOP table to advance his views. They cut deals with the Romney campaign and even kept Paul’s unhappy supporters from disrupting the convention’s proceedings. In return Dr. Paul got nothing. Some of the folks associated with the campaign and C4L have been linked recently to bribery in Iowa and other malfeasance. The campaign manager Jesse Benton, became the $1.1 million dollar man while mismanaging the effort and is now working for the lugubrious Senator Mitch McConnell of Kentucky. Benton has stated that he does so holding his nose, which says a lot about the integrity of Benton and also reveals the cunning of perpetual Washington fixture McConnell, who hopes to attract Paul supporters and teabaggers when he runs in 2014. Ron Paul had enormous appeal in 2012 which was not capitalized on by his handlers. In my state of Virginia, which was the only state where Paul ran head-to-head against Mitt Romney, the campaign was invisible even though well-connected contractor Mike Rothfeld reportedly billed the Paul campaign for $1,196,376 for “advertising, bulk mail, and email services” in Virginia in 2011 alone. I live in a battleground county but did not receive a single mailing, did not hear a radio ad or see a television commercial supporting Dr. Paul. A swing of 10% would have delivered Virginia to Ron Paul and it could have happened. If he had won the state it might have shifted the momentum of the entire campaign. FIGHTING EVERYWHERE. TO HELP C4L EXPAND ITS EFFORTS ON ALL FRONTS AND ENSURE ALL CRITICAL PROGRAMS ARE FULLY FUNDED. No one is actually interested in my opinion because all the membership ballot offers me is the opportunity to check a box to endorse preapproved items on a somewhat skeletal menu of programs that I might not fully agree with. There is no room for discussion or disagreement or even a channel for communicating with the originators of the message, so I have to assume that it is only a mechanism for raising money. That’s what “fully funded” means. Also, the ballot itself reads like something that might have been produced for Monty Python’s Flying Circus in which the Minister of Housing promises 20 million new homes but only succeeds in building seven, but apart from amusement in reading my way through a lot of hyperbole mixed with empty pledges, why should I care? The accompanying letter tells us why, because “this year Campaign for Liberty made tremendous progress in its efforts to pass Audit the Fed legislation.” I must have missed that breakthrough and have to wonder how exactly did they measure that alleged success? It also sounds an awful lot like the C4L emails that have been going out at regular intervals over the past four years saying the same thing. The letter and ballot also endorse overturning the key component of Obamacare, stopping any attempt to introduce a national ID card, and working to “protect our Fourth Amendment rights” against NSA surveillance, but there is no depth or plan to what is being proposed and the letter and ballot together comprise little more than a short list of libertarian fantasies. And the reality is quite different. The Fed will not be audited and Janet Yellen will be confirmed to head it because it is not in the interest of the GOP or Democratic leadership to do otherwise. Obamacare will not be overturned and, as awful as the individual mandate truly is, I would be interested in learning what Campaign for Liberty would do about the tens of millions of Americans who currently cannot get health insurance in a system in which we have allowed for-profit insurance companies to determine who lives or dies. I would like to learn the insurance status of C4L’s senior employees. Are they relying on charity when their children get sick or do they have a generous group plan paid for by Campaign supporters? Anyone who has followed Ron Paul, as I have, would know that he sought the presidency because of his concern over America’s aberrant foreign policy. Dr. Paul bravely opposed foreign aid and foreign interventionism as endorsed and practiced by the two mainstream parties, raising challenging questions about the status quo in the Republican debates and also in his speeches. He understands how central what occurs overseas is to America’s malaise, note his comment “If I didn’t have the foreign policy [views] I do, I don’t think we would be here tonight” delivered in his farewell speech to his supporters in as sports stadium in Tampa during the Republican convention after he was denied any access to the convention floor. But go over to the anemic Campaign for Liberty website and you will detect nary a whiff of genuine Paul, nothing on foreign affairs, no mention of Syria, Libya, Iran or the domestic lobbies demanding more war. Nothing about the congressmen trying to undermine peace with Iran. It is as if multiple exhortations to audit the Fed and defeat Janet Yellen will solve all the problems actually caused by America’s evolution into an imperialist police state, but even there one tantalizing bit is curiously missing. Stanley Fischer is being promoted under the radar by the Israel lobby to take over the number two spot at the Fed. Fischer is head of the Bank of Israel and is a dual national Israeli-US citizen who has aggressively advanced Israel’s interests vis-à-vis the US Treasury. Something smells awfully bad about that appointment, but there is not a squeak coming out of C4L. Campaign for Liberty’s public record speaks for itself. When it sponsors its annual “event” the Liberty Political Action Conference (LPAC) in Chantilly Virginia in September there are no panels on foreign policy and normally only one or two speakers who might peripherally address the issue. This is deliberate. This past year when I tried to pay for a table in the exhibitors’ hall to hand out information criticizing the US role in the Middle East I was turned down because the hall was reportedly full. In fact, it was half empty. So C4L is saying let’s not talk about America’s shameful behavior overseas, but I’ll bet there were some hot discussions about deregulating light bulbs and washing machines and lots of armchair revolutionary talk about how to get organized to stop things like national IDs and healthcare. Which is all to say if you really are concerned because a brutal and brutalizing foreign policy is at the heart of the cancer afflicting our Republic some of Paul’s largely self-designated heirs and successors are a waste of time. So ignore those constant email solicitations for funds to continue to fight the good fight because the pleas are mostly designed to maintain the status and incomes of those who have already failed so miserably to deliver on Ron Paul’s promise. You might begin by emailing back and asking exactly how the money being raised is actually used. Who gets paid how much and for what? But if you dare suggest that America’s foreign policy mess is the driving force in our national decline, you will be ignored. If you observe that genuine Liberty is impossible for a nation that is constantly at war they will ask you for $50 to help them someday audit the Fed. 47 Comments to "Ron Paul vs. the Campaign for Liberty"
Giraldi claims: “Stanley Fischer is being promoted under the radar by the Israel lobby to take over the number two spot at the Fed.” No source is cited to support this claim, and this article says that Fischer was chosen by Obama. As a second-term President, why would Obama need to kowtow to the Israel Lobby? If Obama’s decisions were dictated by the Israel Lobby, why would he pick Hagel, who loudly complained about the “Jewish lobby” intimidating congresspeople, as the Defense Secretary? b. The bill in question does NOT force the US to “have Israel’s back,” as the relevant provision is non-binding. Of course, citing such a poll result would undermine the article’s entire thesis about how Jews/the Israel Lobby are subverting the American will. i.e. the article is claiming Fischer’s criticisms of Israel are insincere presumably b/c he could’ve singlehandedly “forced Israel out of occupied territories” when he was Governor of the Bank of Israel or when he was purportedly unduly influencing American policy on Israel in various other capacities. that’s an absurd and illogical statement. The President of the United States has criticized Israel’s settlement policies; do people seriously argue that Obama’s criticisms of the settlements are empty “lip service”? Surely Obama could “pull US financial levers that could have forced Israel out of occupied territories” by making all US aid contingent on Israel’s withdrawal from the occupied territories. That doesn’t make Obama’s criticism of the settlements insincere. Jeepers there NB, you’ve sort of missed Mr. Giraldi’s point. Which by the by, is a critique of C4L. C4L doesn’t pass the scratch ‘n’ sniff test. Mr. Giraldi makes the spot-on point about Fischer. Those ever so annoying Israel firsters are NOT to be trusted. The entire ‘dual citizenship’ motif is a crock. One can’t serve two masters. So NB, you’re a huge fan of Fischer and that’s obvious. Seems to me you’re being an Israeli troll and are you getting paid for that trolling? Ron Paul is listed as the Chairman of Campaign for Liberty, so you are saying he doesn’t know what’s going on in his own organzation? He also has a separate organization that focuses on foreign policy – the Ron Paul Institute for Peace and Prosperity. Why does he have to talk about foreign policy in every orgaization he has in order to just make you happy? The President of the United States has criticized Israel’s settlement policies; do people seriously argue that Obama’s criticisms of the settlements are empty “lip service”? EVERY POTUS starting with Gerald Ford has criticized Israeli occupation policies. Don Nash, I’m pointing out that Philip Giraldi makes claims that are not credible and also cites sources that are not credible. Are you saying that I’m an Israel Firster and/or that Stanley Fischer is? Where is the evidence that either of us places the interests of Israel above those of the US? I wish I were paid for being an Israel troll, i.e. pointing out false and misleading statements published on unz.com about Jews, Israel, etc. You’re right on the money, Don. NB looks like a crypto-shill for Israel to me. Looks like the Hasbara Brigade has arrived. But that’s OK, because the truth will out. I’ll take Phil Giraldi any day over this slimy character. Rock steady, Don. Can any of you point out any false or misleading statements I’ve made? If I’m such a “slimy character,” surely you should have no problem doing so. Giraldi previously claimed that “whether the victims of the attack [in Ghouta, Syria] suffered symptoms of Sarin was also disputed” when, in fact, the UN “confirmed, unequivocally and objectively, that chemical weapons have been used in Syria” (with 85% of blood samples testing + for sarin); Giraldi’s apparent goal was to lead readers to believe that the notion that Assad ordered a chemical weapons attack on his people is all a fabrication of the Mossad. a shining example of integrity, indeed. So he’s just an all American boy really. Why would anyone get the idea of dual loyalty? And then there is this. “The bill in question does NOT force the US to “have Israel’s back,” as the relevant provision is non-binding.” You know, occasionally people read the citations you throw out. Those who read this one were clearly informed that upon passage of such a bill the Iranians would walk away. You cannot simultaneously threaten people and negotiate with them. Schumer and company know this and that is precisely why the bill was introduced. So this bill is not so much “Non-binding,” as crippling. You are a young woman with a Masters Degree in Physics. Phil Giraldi was working the Middle East on your behalf when you were in diapers, and you are raising the issue of “Credibility?” Many people who gravitate to this cite having already encountered The Lobby. If you are active in Washington the lobby is as unavoidable as rats are in New York. Asserting that the lobby doesn’t exist Isn’t likely to be a very effective strategy here. If Google search is any indication, you barely exist save for your vigorous peddling of your attack on Ron Unz in numerous Jewish internet sites of self-absorption. Thomas O. Meehan, Stanley Fischer has spent far more time in the US than in Israel. He’s been a US citizen since 1976. Given that he’s a dual citizen, I see no problem with pointing out that he may have dual loyalties; the charge being made is that he’s more loyal to Israel than to the US. And somehow people don’t seem to get as exercised about dual citizens with countries other than Israel; has anyone seriously suggested that Ted Cruz is more loyal to Canada than to the US? 1. I’ve never claimed that the Israel Lobby doesn’t exist. 2. My age is irrelevant – you are indulging in the “appeal to authority” fallacy. I am indeed a nobody, but that doesn’t make me wrong. A UMass grad student found a crucial mistake in the work of two Harvard professors; that the Harvard professors are older and more established was irrelevant. I’ve asked y’all to cite false or misleading statements I’ve made, so I’m still waiting. 3. You compared the Israel Lobby to rats? Fischer is a dual citizen. He therefore has mixed loyalties at best. Any American that works for AIPAC is by definition an “Israel Firster.” Anyone holding US citizenship who takes a senior position in the Israeli government is an Israel Firster. If Israel gets its way and attacks Iran, embroiling the US, it will no doubt put serious strain on the Israeli financial system. I wonder who will be called upon to bail it out? And little Stan Fischer will be perfectly placed as an Israeli mole in the US Fed to achieve that and other pro-Israel, anti-American policies. That you defend Israeli Firster Fischer is ample evidence of your own Israel Firster status. So, the answer to your question is: Both you and Fischer are Israel Firsters. What passports do you hold? Nurit, if you do not understand why having a foreign citizen with demonstrated loyalty to a foreign government as the number two in the Fed you are delusional. Your fundamental problem is that you place your tribal interests above the broader national interests that most of the rest of us hold dear. The people you are attacking on this site are loyal to the United States while you define yourself in terms of your ethnicity and are passionately attached to a foreign interest. That prevails even though you apparently were educated here and make your living here. Your dismissal of a US pledge to fight in a war initiated by Israel as non-binding after tying yourself in knots over the meaning of non-binding is ridiculous. You sound like Bill Clinton. Thank you for the essay. You put into words my own gut feeling about the CforL. I was at the Ralley in Tampa. Going down there, I still had hope that we would be able to have our voices heard by TPTB. When I saw the new RepubliCAN logo, it seemed things were finished. The new emphasis, if I remember correctly, was going to be budget issues and right to work issues. No more talk about central banks, no more talk on foreign policy and anemic emphasis of the Fed. C for L in the beginning would send emails on specific issues like End the Fed legislation and lists of congresscritters to call – no more. Now it is Send-money -grams and bogus opinion surveys. On the plus side, is this has been educational. I never realized how many people live off the political system. It would be great if you could do more articles on how political machinery works= the CforL and Americans for Prosperity and all these groups. What do the staff do all day- sit on the beach. plot on how to get more market share? Where is the evidence that I place my “tribal interests” above American interests? Where is the evidence that I define myself in terms of my ethnicity and not my [American] nationality? Where have I advocated policy that would benefit Israel and harm the US? How am I tying myself in knots over the meaning of non-binding? I cited an article in Foreign Policy, which states “The bill includes a non-binding provision that states that if Israel takes ‘military action in legitimate self-defense against Iran’s nuclear weapons program,’ the U.S. ‘should stand with Israel’…” (i.e. “have Israel’s back” in the parlance of the source your cited: “AIPAC’s bill forces the U.S. to ‘have Israel’s back’ in the event of a unilateral Israeli strike.”) I’m not tying myself in knots. I’m merely citing ForeignPolicy.com. A non-binding provision does not force the US to do anything. Philip, I find it fascinating that you chose to make a number of personal attacks against me without citing any examples of my engaging in any of the behaviors of which I’m accused. Why not respond to my criticism of your “Quitting over Syria” piece? Why did you say that whether sarin was used at Ghouta was disputed when the UN unequivocally confirmed it? Why did you say sarin was found on only one of two rockets when in fact, the UN found sarin on the majority of the rocket fragments? I don’t see how my statements regarding Fischer are evidence of my Israel Firster status. I said that Giraldi’s source attacking Fischer is not credible. I mostly addressed other misinformation in Giraldi’s source b/c I know nothing about Fischer beyond his wiki bio. I never even expressed my support for Fischer’s nomination since I know so little about him. 1. I see that you don’t advance any argument against the evidence that Stanley Fischer is an Israel-Firster, though you clearly disagreed with the notion above. 2. You don’t see how your unwillingness to acknowledge the evidence of Fischer’s Israel Firster status implicates you as one as well? Have no idea why you are mystified by it. 3. With regard to the Fed, what do you think it has been doing since 2008? “The financial crisis stretched even farther across the economy than many had realized, as new disclosures show the Federal Reserve rushed trillions of dollars in emergency aid not just to Wall Street but also to motorcycle makers, telecom firms and foreign-owned banks in 2008 and 2009. It’s bad enough when the Fed is subsidizing the reckless greed of US banks; worse when it subsidizes the reckless greed of foreign banks and worst of all when, under the influence of Israel Firster Fischer, it ends up subsidizing Israeli aggression with “emergency funds” for an Israeli financial system under stress from the effects of a war instigated by Israel! Oscar Peterson, I asked for evidence that Stanley Fischer is an Israel Firster. I never said I disagreed with the notion wrt Fischer, as I know so little about him; hence, I am not in a position to evaluate to which country he is more loyal. That Fischer served as the Governor of the Bank of Israel certainly suggests he has dual loyalties – I’m not contesting that; however, I’m still unconvinced that Fischer places Israel’s interest before US interests. That said, I know that I do not value Israel’s interests above US interests, so I strenuously object to being called an Israel Firster. Thanks for posting the info on the Fed bailing out foreign banks – I did not know about that. OK, let’s talk about Fischer. So, here we have Fischer involved in the formulation of policies beneficial to Israel and not to the US. Isn’t it amazing that we subsidize a country that creates problems for us? We have Fischer and too many others to thank for the fix we find ourselves in. 2. From Fischer’s 1986 WSJ opinion piece, “Israel Has Made Aid Work”: “Israel is the largest single economic aid recipient from the US. This is partly because the economic stability of Israel is uncertain and is important to US interests.” Aside from the shaky syntax of Fischer’s second sentence, this assertion amounts to an unsupported case for the importance of Israel to the US. Of course, Israel is NOT objectively important to the US. In fact, it constitutes one of our greatest strategic liabilities. The fact that Fischer supports this lie is another demonstration of his Israel Firster credentials. 3. Fischer became a US citizen in 1976. Now, we know that no two states can possibly have exactly congruent interests. Inevitable, their interests will clash–occasionally or often depending on many factors. Yet, in 2005, Fischer made the choice to take a senior position in the government of Israel as governor of its central bank and the Israeli citizenship that came with the position. This was of course consistent with his past advocacy on behalf of Israel. Why would an American–if he placed loyalty to this country first–ever take a position that would compel him to pursue the interests of a foreign country before those of the US? Fischer’s choice confirms his Israel Firster identity. 4. Finally, Fischer abruptly left his position as BOI governor half-way through his second term early in 2013. By the middle of 2013, buzz was being generated about what a great choice for Fed Deputy Chairman he would make. Why would Fischer leave a chairman’s position in the middle of a term to become a deputy? There are plenty of others who could fill the Fed position. Obviously, there are interests who are pushing to get this specific dual-national Israeli official inside the US monetary system and perhaps to accustom Americans to the notion of shady dual-nationals slipping in and out of powerful positions. Clearly, Fischer’s history shows his first loyalty is to Israel. It’s time to stop allowing dual citizenship. There is absolutely no reason for it. Like the slimy “American” authors–Douglas Feith, Richard Perle, et al–of the “Clean Break” policy document prepared for Netanyahu which gave advice on how to maneuver the US government into doing what was best for Israel (as they imagined it), Fischer is indeed an Israel Firster. That Feith was permitted to become the number 3 official in the US DoD was a travesty. Let’s not let it happen again. Keep Fischer out of the Fed! SAME HERE – FOR YEARS! I haven’t forgotten those “Ron Paul Limo” hustlers with all their gold jewelry…and his non-campaigns…and what was done with all those millions of dollars of “Ron Paul Money Bombs” collected from millions of little guys…and his phony campaigns…and his attacking 911 truth people, and more too. Nurit Baytch, You clearly don’t understand the difference between opinion writing by persons considered expert enough to write on subjects, and academic writing. It is not a logical fallacy to point out that Mr. Giraldi, by virtue of his career and continued contact among the intelligence community is more knowledgeable than you. It’s just a fact. This is not to say that Mr. Giraldi cannot be wrong and you cannot be right. It is noteworthy though, that your writing is entirely a defense of Jewish positions while he writes on a wide variety of intelligence related issues. The whole issue of ethnic and religious dual loyalties is troubling. It is troubling when the Irish, Armenians, Greeks and others do it. Given the depth of Jewish influence and the brazenness with which Jewish individuals and organizations act on behalf of Israel, it is inevitable that such behavior will be called into question. There is no room for dual loyalty in our, or any republic. To be an American citizen and a partisan for any other country is tantamount to treason. In some circumstances it is treason. It is quite legitimate to ask why people who feel so passionately about their own group tarry here when they could live with their fellows in their very own little country? Why play the game from both sides? It sounds a bit like hedging one’s bets. This said, I must apologize to the rats of New York as they are innocent creatures who follow their instincts. The Israel Lobby scoundrels who use our system to front for a parasitic state that is far way but close to their hearts, have no such excuse. Oscar, the antiwar.com link you are citing is a reprint of the source that Giraldi cited. I already demonstrated false and misleading statements in that piece in my original comment. When I’m able to easily identify factual errors in a piece, I no longer trust other claims made in that piece (without further verification). Regarding Fischer’s position as governor of the Bank of Israel, you seem to imply that the economy is a zero-sum game; that is, since Fischer managed Israel’s economy (and apparently did a good job according to his wiki page), he must have worked against US interests. The economy is not a zero-sum game, and I’ve seen no evidence Fischer damaged US interests while at the helm of the Bank of Israel. Why would Fischer leave a chairman’s position in the middle of a term to become a deputy? Because being #2 at the helm of the world’s largest economy is a bigger deal than being #1 manager of world’s 42nd largest economy. Another question I asked was: Why would a second-term President nominate someone who places another country’s interests above US interests, given that Obama is no longer beholden to any lobby and has actually “antagonized” the Israel Lobby (Hagel, Iran deal, etc)? Of course, Israel is NOT objectively important to the US. In fact, it constitutes one of our greatest strategic liabilities. I’m not interested in arguing this point, as it is way off-topic. I made one point, which is that Giraldi cited a source that is not credible to support his claims regarding Stanley Fischer, and this has blown up into a larger disagreement I’m not interested in furthering. again, I’m not “defending” Stanley Fischer and have no opinion on his nomination; I’m just pointing out that I have not seen evidence of anything sinister at play here. btw, do you describe sites like ChristianPost.com as “Christian internet sites of self-absorption”? Do you condemn the 46% of American Christians who identify as Christians first, not Americans? In fact, 70% of white American evangelicals, who are overwhelmingly Zionist, see themselves first as Christians rather than as Americans. That I am interested in combatting anti-Semitism does not make me any less American than you. And no one has demonstrated any false or misleading statements I’ve made or any policy I’ve advocated that would advance Israel’s interests to the detriment of American interests. 1. Contrary to your claim above, nowhere in this string at any point or in any way did you address the issue about Fischer’s role in the US-Israel Joint Economic Group that changed the way in which US aid was provided to Israel–greatly to Israel’s advantage (see my last post). You obviously have no ability to engage with the point, so you claim somehow to have already refuted it. Don’t even think you can try that pro-Israel mendacity with me. 2. With regard to Fischer at the Bank of Israel (see my last post), don’t try to take the discussion off topic. The issue is not whether the economy is zero sum. The issue is whether two states–in this case the US and Israel–can have the same interests in a competitive international state system. Even with countries who are generally useful to our interests–Japan, UK, Germany–we have significant divergences in interests. The fact is that Fischer made the conscious decision to take a position with a foreign government–Israel–that required that he put Israeli interests before US if and when they came into conflict. In short, he chose Israel over the US. By your logic, Fischer could become the head of the Bank of China and there would never be a conflict with US interests because “the economy is not zero sum.” Of course, you’d never make that argument if the other country were not Israel, which brings into question YOUR loyalty. So, first of all, you admit that when he left the BOI almost a year ago, it was because he was being prepared for the Vice Governor position at the Fed which was not announced until earlier this month. What should we conclude except that insidious interests were calculating the need to create a “decent interval” between his traitorous service in Israel and the point at which he could be inserted into our monetary system for the benefit of Israeli and transnational interests. There are plenty of qualified central bankers to take the Vice Chairman position. Any of the Fed regional bank presidents would have been suitable. From where is the impetus to place this ex-Israeli official inside our monetary system coming? And you fail to address my point 3 (in my last post). Why, as a US citizen, did he go to the Bank of Israel in the first place? Why would you even think for a moment that that could be an acceptable decision on his part? The obvious answer here is that politics is a give-and-take activity. There are multiple factions within the US government and the powerful interests that influence the working of government. Currently, the neo-conservative/pro-Israel faction and the realist faction are in constant conflict. Poor hapless Obama is in the middle. Sometimes the right decisions are made–negotiations with Iran, decision not to attack Syria, confirmation of Hagel. Sometime bad, pro-Israel decisions are forced on Obama by the political power of the lobby such as the imposition of sanctions on Iran, tacit support for the military coup plotters in Egypt, and acceptance of Israel settlement building. 5. As far as the utility of Israel to the US–or lack thereof–goes, it is absolutely NOT off topic. I doubt you even read either of the two sites you link to. In the first is described the prescient but vain warning from then Secretary of State George Marshall to Harry Truman: “Secretary of State George Marshall feared U.S. backing of a Jewish state would harm relations with the Muslim world, limit access to Middle Eastern oil, and destabilize the region.” Marshall foresaw the disaster that the US-Israel relationship has become. By helping the Jews of eastern Europe rob the Palestinian Arabs of their land, we have poisoned the entire region against us over the long term. In the days of our maximum power during the Cold War and in the immediate post-Cold War period, we could delude ourselves that this policy was cost-free. Now the truth is slowly beginning to dawn on us. Don’t give me useless links. If you want to make the case that Israel is a strategic asset for the US rather than a liability, then make it. –What passports do you hold? –To what country to you owe your first allegiance? –How does Israel constitute a strategic asset for the US? –Why should the US tax payer subsidize the state of Israel and its gradual ethnic cleansing of the Palestinians? –Do you support the sanctions on Iran which are depriving Iranians of food and medicine? –Do you support the building of Jewish settlements in the West Bank since 1967? –Do you support the recent vote by the Israeli Ministers committee to annex the Jordan Valley to Israel? Oscar, I’m not going to respond to most of your hostile and borderline libelous reply except to point out false statements you’ve made about me. By your logic, Fischer could become the head of the Bank of China and there would never be a conflict with US interests because “the economy is not zero sum.” Of course, you’d never make that argument if the other country were not Israel, which brings into question YOUR loyalty. Somehow I doubt people ascribed insidious motivations to Carney’s decision to take the helm at the Bank of England, accusing him of treachery, as you have accused Fischer. That you wrongly assume that the only dual citizens I accept as candidates for Federal Reserve positions are US-Israel dual citizens speaks volumes about YOU and YOUR motivations. So, first of all, you admit that when he left the BOI almost a year ago, it was because he was being prepared for the Vice Governor position at the Fed which was not announced until earlier this month. I admit nothing. You asked why anyone would leave a chairman’s position to become a deputy, so I explained why. I haven’t followed Fischer’s timeline. He could’ve left BOI for any number of reasons. Don’t whine. You have difficulty responding to my points–and in fact you omitted responding to most of what I said–so you are forced to winge about their hostility. “Borderline libelous” Don’t make me laugh. Our relationship with Israel is much unhealthier than our relationship with China. We openly acknowledge that China is a rival. But the relationship with Israel is much more pernicious. Its agents of influence have got their fangs into our political system and are constantly attempting to generate more hand-outs for Israel and decisions that go against our basic interests. The idea that a country built on a supremacist ideology that necessarily arouses the opposition of the rest of the region could be a valuable strategic ally is just ridiculous, as George Marshall recognized in 1947. And while I am somewhat suspicious of the trend that includes the Canadian Carney becoming Governor of the BOE, neither the UK nor Canada pose the kind of deleterious effect on each other’s interests that Israel does on ours. So, it is YOUR analogy that is invalid. Not even sure what you are trying to say here. We need to get rid of the dual citizenship option in general. But US-Israel dual nationals are particularly prevalent and particularly pernicious. Our problems in the Middle East tied to Israel attest to that. Spare us the conniving disingenuousness. Stop trying to defend the indefensible i.e., dual-loyalism and the sense of entitlement that allows many–like Fischer–to imagine that he can just oil his way back and forth between Israel and the US as he pleases. What a disgrace your arguments are! American Christians have much less potential for dual loyalty conflicts due to the fact that the US is between 73 and 80 percent Christian. A majority of the remainder are ex-Christians who reject categorization. In short, Christians tend to be pretty loyal to our country in as much as our country was founded by Christians, with a Christian culture and with Christian traditions. The more Christian they get, the more in line with American tradition they become. But of course you know that. As Christianity is a religion rather than a blood-line, it lacks its own little rogue ethno-state. Some countries are more rather than less Christian. But since Christianity enfolds all mankind in pursuit of goals beyond this world, we have no folk state such as you have. We are already home. Sadly, unsophisticated Christians have been duped into supporting Israel. Sooner or later they will get the joke and walk away. This is a phase. It makes you neither American or un-American. It just makes you a partisan in your own interest. But since your ethnic interest overlaps with the interests of a foreign power, it becomes indistinguishable from the aims and tactics of that power. How are you different from a member of the old German American Bund? They had an ethnic interest to defend. They had an ethno-state with border problems to explain. And they too clothed themselves in the costume of American rights. Buy flaunting your dual loyalty here, are you sure you aren’t propelling rather than combatting anti-Semitism? Oscar, I’m not responding to most of your comments b/c my interest is in correcting misinformation. I’m not interested in engaging in a debate on the value of the US-Israel alliance. You call me “conniving” and “disingenuous” b/c I deny being an expert on the Federal Reserve and Stanley Fischer’s life story? 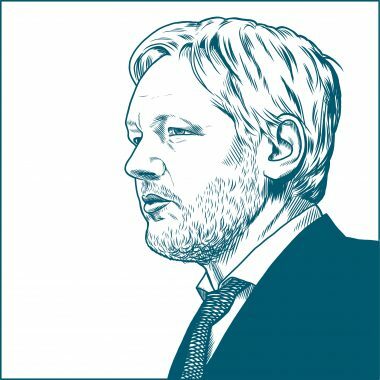 The fact remains that you are unable to point to any false or misleading statements I’ve made (or any policy I’ve advocated that would benefit Israel and harm the US), while I’ve clearly exhibited factual errors and misleading statements in the antiwar.com/IRmep article cited by you and Giraldi. I’ve also exposed Giraldi for claiming that “whether the victims of the attack [in Ghouta, Syria] suffered symptoms of Sarin was also disputed” when, in fact, the UN “confirmed, unequivocally and objectively, that chemical weapons have been used in Syria” (with 85% of blood samples testing + for sarin); Giraldi’s apparent goal was to lead readers to believe that the notion that Assad ordered a chemical weapons attack on his people is all a fabrication of the Mossad. But I’m the “conniving, “disingenuous,” and “slimy character,” according to you. You had no basis on which to make such a false accusation. Having an interest in exposing false and misleading statements published about Jews and/or Israel in no way suggests I’m more loyal to Jews and/or Israel than I am to my country. I also find it fascinating that someone who uses non-American slang is questioning my loyalty to the US. The only US citizen I’ve ever personally heard use the term “winge” (as a synonym for whine) is a US-Australia dual citizen. Those treacherous US-Australia dual citizens, ay? Oh, of course I know that you think that. Are you implying that American Jews aren’t home? I guess you forgot about the concern that JFK would take his orders from the Pope in Rome. How are you different from a member of the old German American Bund? I certainly agree that my debunking anti-Semitic/anti-Israel conspiracy theories is sure to enrage anti-Semites. I use “winge” regularly but of course I went to university in the UK. NB, I doubt if slang is a good measure of either nationality or political orientation as there are many regional dialects in the US, but I do find your syntax a bit odd at times. How do you know what my intentions were vis-a-vis Assad? If you were a little bit better informed you would realize that the Israelis have been feeding us false intelligence for many years to support their own objectives.You seem to miss the point that Israel abuses its privileged position with Washington regularly, which is what I and the other contributors to this site are pointing out though you don’t seem to understand what that means. If Israel wants to enslave the Palestinians they should go ahead and do it and see what happens but they should not be involving my country in the process as it has only harmed our own interests. Philip, can you please clarify what your intentions were for your “Quitting over Syria” piece? Why did you say that that “whether the victims of the attack [in Ghouta, Syria] suffered symptoms of Sarin was also disputed” when, in fact, the UN “confirmed, unequivocally and objectively, that chemical weapons have been used in Syria“? Why did you mention that “no autopsies were performed to confirm the presence of the chemical [sarin]” when “85 per cent of blood samples from the sites in Ghouta tested positive for Sarin” according to the UN? To the uninformed reader, your assertion sounds suspicious. In actual fact, there is no need to perform autopsies when multiple survivors have had blood tests to confirm sarin exposure. Why did you say that “traces of Sarin were not found in most of the areas being investigated, nor on one of the two rockets identified” when sarin was “recovered from a majority of the rockets or rocket fragments,” and sarin and its byproducts “were observed in the majority of the [environmental] samples” according to the UN? I glanced at the Human Rights Watch report, and they do not rely on “interceptions of telephone conversations” [which you claim were “widely believed” to have been fabricated by the Mossad] to implicate Assad’s regime. Based on the above, I have concluded that your apparent goal was to lead readers to believe that the notion that Assad’s regime ordered a chemical weapons attack on his people is all a fabrication of the Mossad. Do you have an alternative explanation? Finally, Israelis do not “want to enslave the Palestinians;” most polls have shown that the majority of Israelis support a two-state solution. But since your loyalties are dual in nature, your judgement as to whats good for my country as is at the very least questionable. I would trust the judgement of a patriot who thinks ONLY of one country. I’m more than implying. I’m asserting that you and a large number of your co-religionists behave as though your real home is elsewhere. If you are not one hundred percent investing in this country to the exclusion of all others, you are not dual loyal; you are disloyal. No amount of sophistry on your part can hide that. Your position is ridiculous in that you attack others versions of events while fatally undermining your own standing as an objective participant. I sure hope this back and forth has been good for readership but I have no more time to waste on an ethnic troll. When your identity is your motive, debate is pointless. What could be more patriotic than opposing a disastrous war for the US? If you are not one hundred percent investing in this country to the exclusion of all others, you are not dual loyal; you are disloyal. Well, you’re entitled to that opinion, but lots of Americans would disagree with that. I was born and raised in Boston, so I’m quite familiar with Irish-American culture, and many Irish-Americans take pride in their ethno-cultural heritage and identify strongly with their ancestral homeland, as do many Italian-Americans, Mexican-Americans, etc. I don’t think caring about two countries necessarily makes one disloyal. In fact, by your logic, one who cares about 2+ countries is automatically disloyal to both/all of them! Your position is ridiculous in that you attack others versions of events while fatally undermining your own standing as an objective participant. No one has been able to exhibit any false or misleading statements I’ve made. The responses to my comments pointing out misleading and false statements in articles published on unz.com or sources cited on unz.com have been almost entirely personal attacks that do not actually refute my points. Actually, I’m not even sure it’s accurate to describe them as personal attacks; they’re attacks based on false assumptions stemming from stereotypes about Jews (like the accusation that I only accept US-Israel dual citizens for the Federal Reserve, not any other dual-citizens). If you refuse to read the UN report on the Syrian chemical weapons attack (to which I linked above) and accept Giraldi’s claims simply because you automatically discount anything I say related to Israel due to my ethnicity, that says a lot more about you than it does about me. I sure hope this back and forth has been good for readership but I have no more time to waste on an ethnic troll. When your identity is your motive, debate is pointless. I don’t deny that my ethnic identity (not to mention my affiliation with Harvard and prior knowledge that some of the high academic achievers Unz classified as non-Jewish white are actually Jewish) motivated me to take the time to debunk Unz’s article claiming that Harvard discriminates against white Gentiles in favor of Jews. That doesn’t make my rebuttal incorrect. In fact, no one has identified any errors in my rebuttal (to my knowledge). Feel free to try to find any. More to the point, my motivation to fight anti-Semitism (which stems from the fact that most of my father’s family was killed in the Holocaust) is surely more just than motivation based on hate. Some of Fischer’s accomplishments—from co-authoring a seminal textbook on macroeconomics to handling economic crisis at the IMF have—not surprisingly—been recalled by his many supporters. Other doings that shed light on Fischer’s controversial attributes—such as overhauling how U.S. aid and trade packages are delivered to Israel—have been mostly ignored. Appointing an openly dual Israeli-American citizen into the most important central bank in the world could be a watershed moment. While the doors of federal government have long swung open for Israel-lobby appointees focusing most—if not all—their energies on advancing the interests of a foreign state, any who were actually Israeli dual citizens have traditionally kept that a closely-guarded secret. Fischer’s long-term boosters, including the American Israel Public Affairs Committee (AIPAC), likely want to accustom Americans to openly dual citizens circulating between top roles in the U.S. and Israeli governments. A closer examination of Fischer reveals that average Americans have good reason to oppose his appointment, because his lifelong achievements for Israel have imposed high costs and few benefits to the United States while making peace more difficult to achieve. Stanley Fischer was born in Northern Rhodesia in 1943. He studied at London School of Economics and received a PhD in economics from MIT. He taught and chaired the MIT economics department and co-authored a leading macroeconomics textbook with Rudiger Dornbusch. Fischer joined the World Bank in 1988 and became the first deputy managing director of the International Monetary Fund (IMF) in 1994. He oversaw emergency bailout lending and austerity programs over Mexico, Thailand, Indonesia, Russia, Brazil and Argentina. High flying Citigroup—under the helm of Sanford “Sandy” Weill—recruited Fischer in 2002. There he rose to become vice president with a seven-figure pay package. Fischer has not only been an ardent supporter of Israel, his professional efforts began when he took sabbatical leave to Israel in 1972 and 1976-1977. He was a visiting scholar at the Bank of Israel in 1980. More importantly for Israel, Stanley Fischer won an appointment to the Reagan administration’s U.S.-Israel Joint Economic Discussion Group that dealt with Israel’s 1984-1985 economic crisis. In October of 1984, Israeli Prime Minister Shimon Peres arrived in Washington asking an initially reluctant Reagan Administration for an additional $1.5 billion in U.S. emergency funding—over and above the already-promised aid $5.6 billion aid package. [i] The help amounted to U.S. taxpayers funding each Israeli citizen $1,650. Another key component of the plan called for a largely unilateral lowering of U.S. tariffs and trade barriers to Israel, a program initially called “Duty Free Treatment for U.S. Imports from Israel” but later repackaged and sold as America’s first “free trade” agreement. Over time the FTA reversed a previously balanced U.S.-Israel trading relationship for one that has produced a cumulative deficit to the U.S. that passed $100 billion in 2013. Seventy American industry groups opposed to the give-away in 1984 were disenfranchised when Israeli Economics Minister Dan Halpern and AIPAC illegally obtained a classified compendium of their industry, market and trade secrets to use against them in lobbying and public relations. An FBI espionage and theft of government property investigation was quashed before it could narrow in on those inside the U.S. government who delivered the secrets to Halpern. 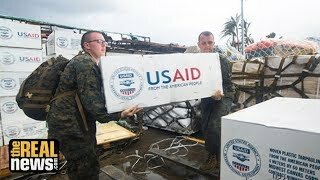 The U.S.-Israel Joint Economic Discussion Group fundamentally transformed U.S. aid to Israel forever. Before the Reagan administration, most U.S. aid to Israel took the form of loans that had to be repaid with interest. After the input of Fischer’s team, subsequent U.S. aid was delivered in the form of outright grants paid directly from the U.S. Treasury—never to be repaid or conditioned when Israel took actions the U.S. opposed. Like many of Fischer’s later IMF austerity programs, the Joint Discussion Group initially announced that strings attached to the aid would make it temporary. Secretary of State George Shultz insisted during a 1985 address to AIPAC that “Israel must pull itself out of its present economic trauma . . . . No one can do it for them . . .our help will be of little avail if Israel does not take the necessary steps to cut government spending, improve productivity, open up its economy and strengthen the mechanisms of economic policy. Israel and its government must make the hard decisions.” [ii] Shultz wanted to make the huge American cash transfer conditional on major Israeli economic reforms, but intense AIPAC lobbying in Congress threatened to make the State Department influence irrelevant. In the end, Congress delivered aid without Israeli sacrifices, such as selling off bloated state-owned industries and spending belt-tightening. The proposed privatization of $5 billion in state enterprises threatened too much bureaucratic “turf” and too many jobs, so Israel put them on hold. Fischer apologetically characterized the Likud years as a “wasted opportunity by a government that should have known better.”[iii] Not until 1996 were Fischer’s proscribed economic remedies adopted by American neoconservative consultants to Benjamin Netanyahu as minor points in the “Clean Break” manifesto for Israeli regional hegemony. They remain among the few unimplemented tasks in a plan that called for military action against Iraq, Syria, and Lebanon. Despite the absence of any real economic reforms that would take Israel off the American taxpayer dole, Fischer co-wrote a blustering 1986 article for the Wall Street Journal called “Israel Has Made Aid Work” that AIPAC circulated widely as an official memorandum of its achievements. “Israel is the largest single recipient of economic aid from the U.S. This is partly because the economic stability of Israel is uncertain and is important to U.S. national interests. Therefore a report on the progress of the Israeli economy is relevant to policy decisions to be made here.” Fischer never bothered to substantiate his premise, that U.S. national interests were somehow served by the bailout or that any aid given to Israel produced tangible benefits. Instead Fischer delivered a fusillade of dry and all but unreadable statistics about Israel’s temporary economic performance. Issues of long-term importance to most Americans, such as returning U.S. aid to the traditional format of loans to be repaid and the likely impact of the FTA on U.S. jobs went unaddressed by Fischer. Fischer’s core achievement—that the transformation of aid from loans to outright taxpayer give-aways—has been unchanged since 1986. The premises behind this ever-increasing entitlement and one-sided FTA performance are likewise never reexamined by Congress—despite the fact that a majority of polled Americans have come to oppose aid increases to Israel. Fischer’s rare admonitions that Israel be held to account, unlike the economies he transformed through biting IMF austerity programs, have remained nothing more than lip service. At the end of 2004 Israel’s U.N. ambassador recruited Fischer to become the head of Israel’s central bank, asking, “Why not be our governor?”[iv] Fischer accepted and initially provided endless amusement to reporters by insisting on speaking Hebrew during press conferences and refusing to speak English. Initial concerns that Fischer’s global stature and experience would overshadow and chafe the relevant players in Israel proved unfounded as Fischer moved energetically into his new role. AIPAC continued to trumpet Fischer’s accomplishments steering Israel through the global financial crisis, though beneath the surface he was performing far more serious tasks for Israel and its global lobby. The last time Fischer’s name was floated to lead a major organization was during a rushed Bush administration attempt at damage control. In 2007, the controversial architect of the Iraq invasion and later World Bank President Paul Wolfowitz was engulfed in an ethics scandal over his pay and promotion package for Shaha Ali Riza. In two short years leading the institution, Wolfowitz catalyzed the alienation of most divisions within the bank and the distrust of economics ministries around the world. Fischer, along with Robert Zoellick and Robert Kimmitt and a handful of others, was considered as an emergency replacement while the administration and stakeholders strategized on how to ease Wolfowitz out with a minimum of scandal. [x] In the end, Fischer stayed put in Israel. It came as a surprise to many when The Wall Street Journal and Israel’s Channel 2 news simultaneously reported in early December 2013 that the White House was “close to nominating” Fischer to be appointee Janet Yellen’s second-in-command at the U.S. central bank. [xi] Media reports initially indicated that Fischer’s candidacy-to-Senate-confirmation would proceed on greased skids—with no Senate debate—taking only a week so that the pair could quickly take over the Fed in January. However, the Senate concluded its 2013 business without taking up the matter. The earliest date the measure could be put up for a vote is January 6, 2014. 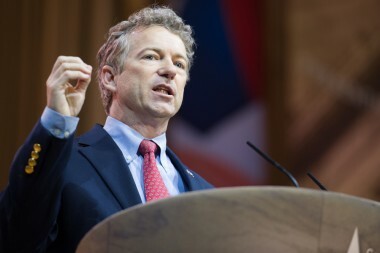 Even that date might slip since Senator Rand Paul and Minority Leader Mitch McConnell plan to delay the vote unless a long-languishing measure to “Audit the Fed” is also put up for a vote. An equally important target for Fischer and Israel may be—somewhat ironically given their pro-boycott programs—anti-boycott activities. In the 1970-80s the Federal Reserve played an active “moral suasion” role chastising and corralling U.S. banks away from any activity that Israel construed as compliant with the Arab League economic boycott. An expert with deep experience enforcing the international boycott of Iran, Fischer is likely aware of the many active American grass-roots campaigns aimed at ending the Israeli occupation of Palestinians through targeted boycotts. These boycotts range from efforts to get retailers to stop carrying manufactured goods produced in the occupied West Bank (Ahava and Soda Stream), to overturning contracts with firms providing services in occupied territories (Veolia), to academic boycotts and even efforts to get labor union pensions to divest from Israel bonds. Working more closely with Israel and AIPAC, the Fed could become a vital node for reinterpreting and enforcing old or new laws aimed at outlawing and punishing groups organizing such grass-roots activities by targeting U.S. bank accounts and freezing their financial flows. Whatever the real motivation for Fischer’s sudden, inexplicably rushed insertion into the Federal Reserve, it is also worthwhile to note longstanding Fed policies have correctly considered U.S. citizenship to be preferable for at least one key position, “because of the special nature of the supervisory function, the need to ensure confidentiality of information, and the delegated nature of the function.” Unfortunately, that policy preference covers only Fed bank examiners rather than top leadership—the Federal Reserve Act is silent on the wisdom of installing a revolving door for returning U.S. citizens who took on dual citizenship as a condition of serving a foreign government. If Americans were ever polled on it—and they never are—the majority who now object to increasing aid to Israel would also likely object to quasi-governmental and governmental positions being staffed by people who—by citizenship or sheer strength of identity politics—are primarily occupied with advancing Israeli interests rather than those of the United States. It is obvious that the real reason AIPAC and its economic luminaries such as Fischer never substantiate any of the advertised benefits the U.S.-Israel “special relationship” delivers to America in return for all of the costs is simple—there simply aren’t any. As greater numbers of Americans become aware that the entire “special relationship” framework is sustained by nothing more than Israel lobby campaign-finance and propaganda networks, the harder the lobby will have to work to forcibly wedge operatives like Fischer into positions where they can thwart growing public opposition—whether it takes the form of boycotts or grassroots opposition to the U.S. fighting more wars for Israel. In the very short term, Americans can only fight such undue Israel lobby influence by again—like during the drive to attack Syria—staging a mass action to demand their senators reject Stanley Fischer’s nomination. [viii] “Bank of Israel governor: Sanctions won’t collapse Iran economy. Islamic Republic will likely find way to ‘keep economic life going,’ says Fischer in interview with CNBC” The Jerusalem Post, October 24, 2012. [ix] “Bank of Israel governor: Sanctions won’t collapse Iran economy. Islamic Republic will likely find way to ‘keep economic life going,’ says Fischer in interview with CNBC” The Jerusalem Post, October 24, 2012. The repeated vacuous and hackneyed Hasabara claims of broader support for Palestine state have played Americans for a fool. It’s peace process time again–and with it comes the trope that Israelis are ready for a two-state solution. That sentiment is accompanied by polls showing the same: that Israelis support the principle of two states for two peoples. But an examination of Israeli polls shows that nothing like a viable Palestinian state that would be acceptable to the Palestinian population is on the table. With the peace process in overdrive, media consumers have been treated to a lot of hopeful thinking. In the past month, journalists and analysts have lined up to say that Prime Minister Benjamin Netanyahu has the support of the Israeli people to make a peace deal–if he would just go ahead and buck his right-wing coalition. All three of those analysts link to articles in Haaretz and the Jerusalem Post that provide details on the same poll: a December 2012 study conducted by the S. Daniel Abraham Center for Middle East Peace showing that right-wing Israelis would support a Palestinian state. The polls–there were two in total commissioned by the center–surveyed Habayit Hayehudi and Likud voters, and found that the majority of them would support a Palestinian state. Conflict solved! Not so fast. The devil is in the details when it comes to a Palestinian state. As Haaretz’s Barak Ravid reports, the Palestinian state accepted by these right-wingers would be demilitarized–and the kicker is that Israel keeps all of the settlement blocs in this imagined deal. That means the settlements of Ma’ale Adumim and Ariel–two settlement “blocs” that are considered “consensus” settlements, or settlements that Israelis believe they will keep in a permanent peace agreement. Both Ma’ale Adumim and Ariel slice and dice the West Bank into pieces that take a viable Palestinian state off the table. And that’s just talking territory. Never mind the discussion about a demilitarized state. “Ma’aleh Adumim was established to break Palestinian contiguity,” Benny Kashriel, the mayor of the settlement, said in 2004. And even the leaders of the Palestinian Authority, who have shown themselves willing to give Israel a lot, were resistant to a deal that would keep Ariel in the hands of the Israelis, as the Palestine Papers showed. The same goes for the Palestinian population at large–especially since Ariel sits on top of major water resources that were once in Palestinian hands. A more recent poll conducted in June 2013 and cited by Sasley found that 62% of Israelis would support a two-state solution. But the same poll states that about 54% oppose dismantling most of the West Bank settlements, though the specifics of which settlements Israelis oppose dismantling are missing from the polling data. It may be, as Sasley wrote, that “public opinion in Israel has historically followed leaders’ efforts when they’ve pushed major decisions on war and peace.” But when you have a leader like Benjamin Netanyahu, who has vowed that Ariel and Ma’ale Adumim will remain in Israeli hands forever, there isn’t much cause for optimism. And a brand new poll concludes that 63% of Israeli Jews are opposed to withdrawing to the 1967 borders. The poll also shows 58% of Israelis opposing a peace agreement in which Israel has to dismantle some of its settlements but gets to retain Ariel and Ma’ale Adumim. Palestine Papers released by Guardian ( UK) showed how deep and ingrained is the plan in Israeli consciousnesses to deny any Palestinian presence in West Bank ,let alone the thought of a Palestinian state. Fisher will carry that big stick of sanctions ( Palestine, Iran ) now . Nathayahoo along with PNAC ( US) were explicit that Oslo peace process should be abandoned. I call you conniving, disingenuous and slimy because it is quite obvious that your posts amount to nothing more than an endless exercise in special pleading on behalf of Israel and the noxious and pervasive lobby that undermine US strategy in its name. You yourself have conceded that Fischer’s dual loyalty “might” create a conflict of interest (though you are unwilling to take the logical next step based on all the evidence and admit his status as an Israel Firster). Yet you refuse to take a position on his nomination as Fed Vice Chair. Even if all you concede is a potential conflict of interest on his part, that should be more than enough to disqualify him from the position. So why do you refuse to do so? Don’t give us this transparently bogus “I don’t know much about anything, I’m just correcting misinformation” nonsense. No one is buying it. Your claim that Fischer, with his demonstrated record of pro-Israel actions, is anything but an Israel Firster IS the misleading statement that you claim you have never made. You are trapped in a labyrinth of your own mendacity. And yes, by trying to minimize and obfuscate Fischer’s Israel Firster status, your loyalty IS absolutely in question. If that offends you, too bad! As for “winge” (or “whinge”), you’ve hit the nail on the head when you point out that it is a synonym for “whine”. I rarely use the word, but in addressing your plaintive, self-pitying posts, one is forced to employ the word “whine” so often to describe your tone that synonyms simply must be used. Just set your little mind at ease–I am an American with only one passport—US.) As far as your friend goes, he sounds a lot like that other Israel Firster, Martin Indyk. Once an Australian, then hurriedly given US citizenship so he could “serve” Bill Clinton, Israel has never been far from his mind. He worked at AIPAC (of course), founded the Washington Institute for Near East Peace (WINEP), which is essentially a vehicle for pro-Israel propaganda. And of course, brought a naked pro-Israel bias to the various positions he held for the US government. With people like Indyk, Fischer and you, it’s no wonder our national strategy is in such sad shape. Disloyalty eats away at the foundation of the state and the nation. But I’m willing to give you another chance to redeem yourself—at least partially. Tell us frankly and honestly: Do you support Fischer for Fed Vice Chair or do you not. And don’t equivocate! My comment immediately above is addressed to Nurit Baytch. Lou, it wouldn’t be the first time. Remember the newsletters. I remember Seymour Hersh talking about the sensors that were placed near Syrian chemical stock piles and that they would go off if the chemicals were mixed to create Sarin. Also he said the chemical had a very short shelf life so it would have to been used immediately. I suspect the cannibals did it. Also he said there are sensors that are monitoring the Iranian nuclear program. I hope with Obamacare people who think the Iranians are out to get them can get some anti-psychotics in order to calm down. Also we have this tribute thing backwards. Who has the Empire? Your comments on C4L are spot on. 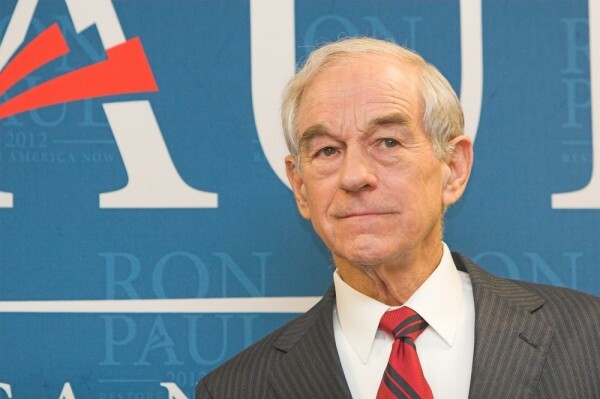 They completely strip away the antiwar message of Ron Paul, which is his greatest strength. And as you point out, it’s intentional. Did anyone know Ron well enough to ask him why he puts up with this? Although it was Thomas O Meehan, I believe, who somehow identified NB as “a young woman with a Masters Degree in Physics,” I wasn’t sure whether to write “his or her” because based on these odd times, either this individual with an MA in physics is suffering mightily from sleep deprivation or NB is in fact an hasbara troll most likely working from Haifa, Tel Aviv or Jerusalem… even if they were “born and raised in Boston” as NB claims! Hey geokat62! You don’t have to live in the Middle East to post late. In my case you just have to be a Pennsylvania night owl and retiree. As to my description of NB, Just click on her name and do a bit of Googling. I no longer engage her posts as it is useless to debate with zionists. What’s good for them is the truth. Anything running to counter to their project must be attacked. You can’t argue with blood. She has already resorted to playing the holocaust and hate cards. It’s all a matter of interests being propelled or attacked. He interest is obviously not mine as an American. Hey, Thomas. I have to say it is very encouraging to see that more and more Americans are realizing their ME foreign policy has been hijacked by the Lobby. If she was truly interested in combatting anti-Semitism, as she claims, she should be on the side of yourself and others who are doing their darndest to ensure US interests are promoted rather than those of a foreign country. If the latest resolution to scuttle the Iran deal passes in the Senate and Israel is given the green light to attack Iran, what do you think will be the reaction of the American people who have already indicated they are not interested in another ME war (as they did in the case of Syria)? Ron Paul was the only candidate who stood up against the Jewish lobby. For this he has been called a vicious Anti Semite, All the MSM including Fox lied and played down his campaign. Both parties are controlled which is why he was such a threat.